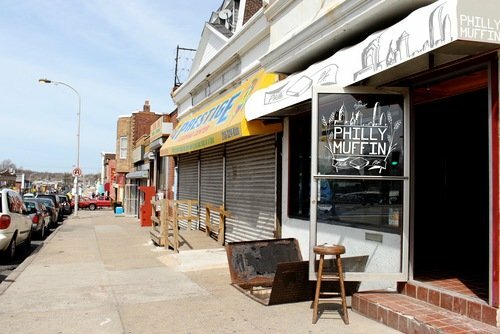 Philadelphia is a city known for its love of food, gritty inventiveness, and staunch support of its local businesses. These qualities have created a boon for the city’s local economy, boosting Philadelphia’s real estate market with the creation of jobs accompanying the surge of localized industries. Philly Bread is one of Philadelphia’s many industry disruptors driving regional growth. Philly Bread’s diverse product line features everything from their staple Philly Muffin, their take on the English muffin, to bagels, focaccia, baguettes, and ciabatta. The products can be found at Philly Bread’s brick and mortar location in Olney at 4905 N 5th Street, in local gourmet grocery stores such as DiBruno Brothers, and numerous local eateries including Good Spoon Soupery, Sweet Green, Hawthorne’s, and Jose Pistola’s. Philly Bread’s commitment to every step of the process from sourcing to baking creates a superior product that has built an ecosystem in Philadelphia’s restaurant industry through its presence in many of the city’s restaurants and coffee shops. With the distinction of being one of Philadelphia Magazine’s Best of Philly award winners for 2018, Philly Bread’s rise as a staple in the Philly food scene is just starting to heat up.